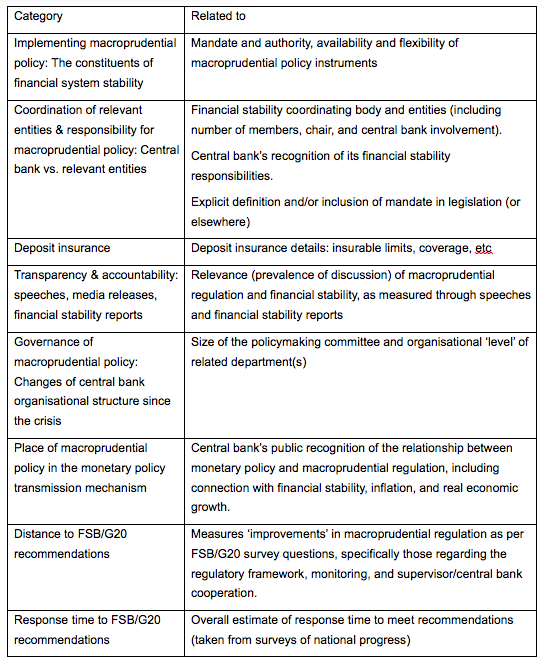 We have identified more than 30 key empirical elements of the current state of macroprudential policy for 46 economies (Lombardi and Siklos 2016 ). 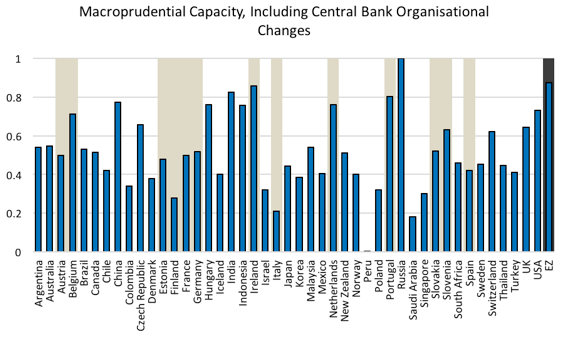 We have also translated them into a ‘capacity index’ that scores policy regimes. Our index compares apparent factors, such as the size and scope of a policy coordination body, the central bank’s involvement in it, and the arrangements for delegation of authorities. But it also compares each jurisdiction’s framework with the recommendations of the FSB and the Group of Twenty (G20), a crucial benchmark which previous research has not considered. Lombardi, D and M Moschella (2016). “The symbolic politics of delegation: macroprudential policy and independent regulatory authorities ,” New Political Economy, 23 June, pp. 1-17. Lombardi, D and P L Siklos (2016). 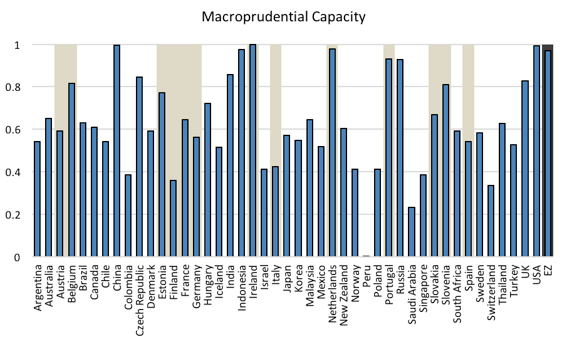 “Benchmarking Macroprudential Policies: An Initial Assessment, ” Journal of Financial Stability 27, pp. 35-49.